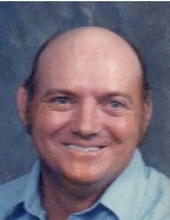 Joseph Franklin “Bud” Sparks, 72, of Olive Hill, passed away Saturday, September 1, 2018, at his home. He was born August 27, 1946, in Lewis County, a son of the late Joseph and Emma Howard Sparks. Bud attended Oakland Christian Holiness Church and enjoyed cutting timber, gardening, deer hunting, farming and spending time with his family. In addition to his parents, he was preceded in death by his wife of 41 years, Nina Mae Kottcamp Sparks; one son, Joseph Anthony Sparks; two brothers, Charles Sparks and Dean Sparks; and two sisters, Rosa Lee Grigson and Geneva McGlone. Bud is survived by one daughter, Anna Mae Buckler (Donnie) of Olive Hill; six grandchildren, Joseph Donovan Buckler (Drema), Jessica Nicole Buckler, Jacob Aaron Buckler, Jarrod Dwayne Buckler, Makaila Lashae Sparks and Amber Renee Sparks; three brothers, Bob Sparks of Tollesboro, Tom Sparks of Garrison, and Vernon Sparks of Olive Hill; and four sisters, Freda Roe of Richmond, Beverly McGlone, Bethalee McGlone and Carol McGlone, all of Olive Hill. He also leaves many other family members and friends who will sadly miss him. Services will be at 11:00 a.m. Friday, September 7, 2018 at Globe Family Funeral Chapel at Camp Dix with Bro. Raymond Steagall and Bro. Terry Cooper officiating. Burial will be in Cooper Cemetery on Cooper Ridge. Friends may visit from 6:00 p.m. until 8:00 p.m. Thursday, September 6, 2018 and after 9:00 a.m. Friday at Globe Family Funeral Chapel, 7975 Lower Kinney Road at Camp Dix.